Description: Cesare Candi was born in Bologna in 1869. 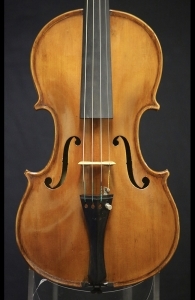 He began studying violin making under Raffaele Fiorini until 1883. In 1888, Cesare moved to Genoa to work for the Barberis Company where he made mandolins. Four years later, Cesare and his brother Oreste established their own firm in Genoa where they made various kinds of plucked instuments. 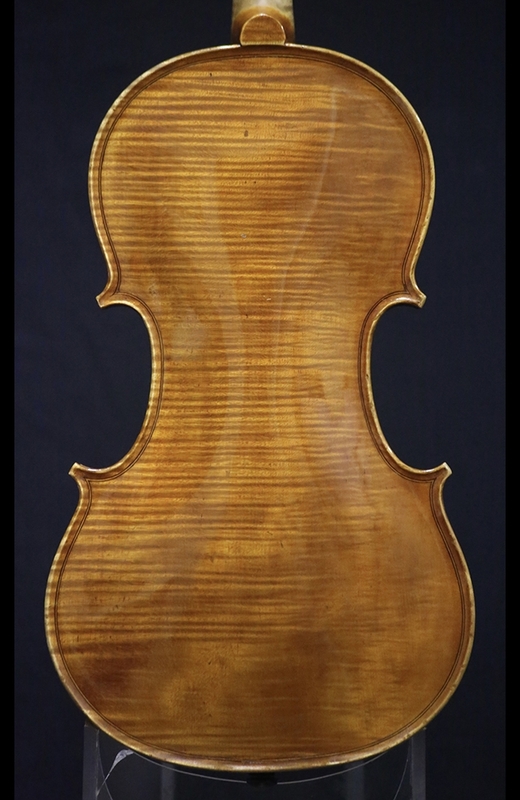 Years later, after the further instruction of Eugenio Praga and Enrico Rocca, Cesare emerged as the prominent Genoese violin maker. He was awarded in Milan in 1906 for one of his instruments. Late into Cesare’s career, he took on Giuseppe Lecchi as an apprentice, who is partially responsible for Cesare’s later works. This particular violin is in good condition at this time. Back Length: 35.6 cm. 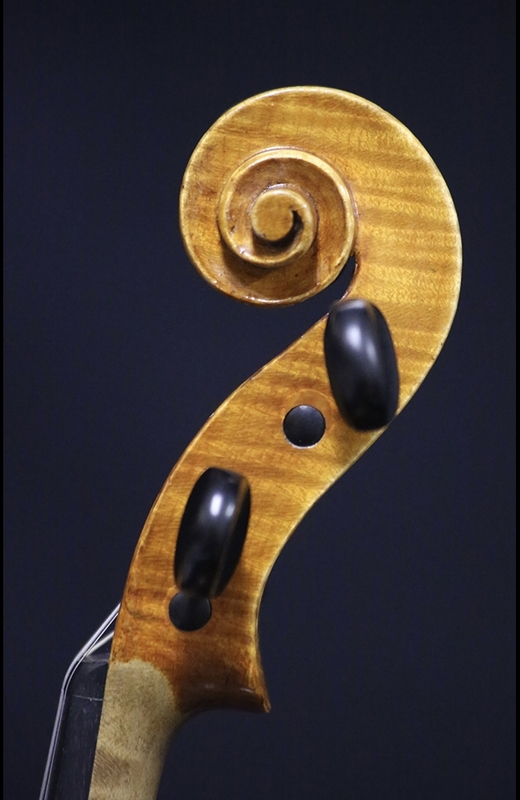 Terms: This violin is available for examination and trial and has been meticulously set up to our exacting specifications before addition to our catalog. 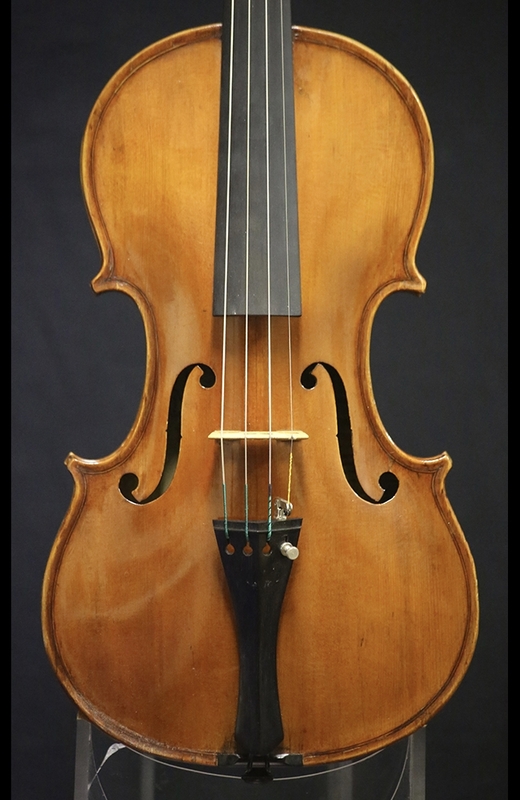 If you wish to inquire further about this violin, please contact us using the green button at the top of this listing or call 1-818-762-1374 during business hours.